After being slightly discouraged after my previous USB Linux install became a disaster, I tried another Linux distribution...this time, PCLinuxOS. Unlike last time (when I used Kubuntu, and the system update froze and broke the install), the updates installed smoothly. I got around to installing my favorite Linux games and other stuff. One thing I hoped for was increased performance when using the Webkinz site while using Wendell. For some reason, Webkinz always runs slower on Wendell compared to Lilly, which is very odd seeing that most other Flash content runs rather smoothly, and his WEI index for gaming graphics is 5.6! The verdict? Webkinz runs even more slowly under Linux, while everything else runs great. Not everything in Webkinz is slow on Wendell. For the most part, it runs alright when you are taking care of your pet or going mining in the Webkinz World mines. The only time where the slowness becomes apparent is playing the games. Some games play alright (Candy Bash, Cash Cow, Goober's Lab), while other games are so slow they are unplayable (namely Hoppy Little Rocketship). There are other features of Webkinz World that I haven't tested on Wendell, such as the Academy. I may test those today. Blackberry Bun Wrote: Damn you embassy security! So you're saying that from tomorrow onwards once my laptop is inside the work field I cannot bring it home until the project is finished?! Then say goodbye to it, because I will never bring it to work anymore, EVER! That would scare me, too. I finally saw The Hunger Games and of course cried my eyes out. 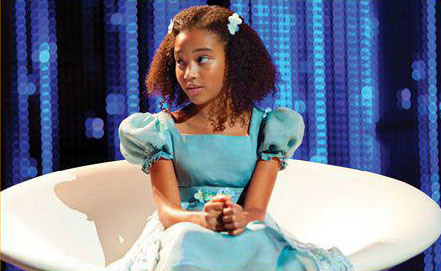 It didn't help that two of the girls who died in it, Foxface and Rue, share a lot of resemblances with two of my girls, the teenager and the eight-going-on-nine year old. Being a parent in Panem would be so heartbreakingly scary. 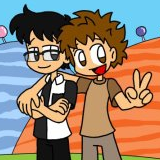 If Ben and I were the same gender, and of the age group for the games, I wonder if he would have volunteered in my place like the main protagonist of the series did for her little sister. Something deep down tells me he would. I can definitely see my daughters and niece doing so for each other. Gah, that's a sad thought. Would my son be disqualified from the games? If not, that's just inhumane (although I wouldn't be surprised since the whole concept of the games is inhumane). He wouldn't stand a chance. Thank heaven above we don't live in that dystopia. Stella Grapes Wrote: ...the teenager and the eight-going-on-nine year old. But in the end, whoever of us got selected, I will end up knocking my brother unconscious (or something like that) and step into the arena so he can live for at least another year. And I break that silence. I shall now report on how David is feeling. Based on his Facebook posts, he has sunk back into a depression. So what do I do? I try what I always try whenever he gets like this...try to explain to him why he shouldn't be worrying about stuff so much. How does he return the favor? Pottermore has opened to the public. It sorted me into Slytherin. Tell me your username if you join, please! Yes. Plum and most of her generation would never have the chance to volunteer for the younger children, however, because of the age gap. The same unfortunate circumstance would render you prohibited from volunteering for your brother. The children selected are from ages twelve through eighteen. Well, it wouldn't work like that because of the rules. The volunteer is the victim. I'm mainly curious to see how you all are sorted. A lot of the Slytherins, most likely over three-fourths, added me from our Common Room. The remaining Slytherins and everyone from the other houses were those I knew prior. If I can figure out who is who of the Slytherins, which is hard because a lot of the usernames run together (and the only name of theirs which stands out for me is Ben's), then I can come up with more accurate numbers. Yes, James and Dee are both Gryffindor-Hufflepuffs. His result was Gryffindor and hers was Hufflepuff. I guess Ben and I are both Slytherin-Ravenclaws, but I do think I have a lot of Hufflepuff to me. Our combined families would produce wizarding children with limitless possibilities. Registered, but confirmation email not coming yet. Speaking of Webkinz, Greta is doing just fine, and I have been taking her to the Kinzville Academy for over a week now. You can only take three classes per day, but she is becoming more intelligent, a lot stronger (Polar Bears have to be strong), and a master at the pancake griddle.